1. Food – There is too much diversity to make a specific recommendation. People eat different food and prefer different places. My advice is to make research as soon as you arrive in Rome, or even prior to that. There are restaurants, fast food, pizzerias, bakeries and other places to eat on every corner of the city. If you are on the budget then I suggest you to eat in pizzerias not close to the center and big attractions. Paying 8€ for a plate of pasta is a good deal. In the center or near famous locations, price, for a plate of pasta, goes up to 15 or even more euros. Maybe the food is really worth the money but you can have something as good but cheaper. The truth is that the food is better if you go to the suburbs. Center is one big tourist trap, like in every big city. 2. Nightlife – I am not really the best person to write about nightlife because I used to work in a nightclub and I really got tired of it. So, my nightlife comes down to no make-up, pajama, warm blanket, popcorn and a good set of movies. According to people who like nightlife, the places to go out are San Lorenzo, Trastevere and Campo de Fiori. 3. 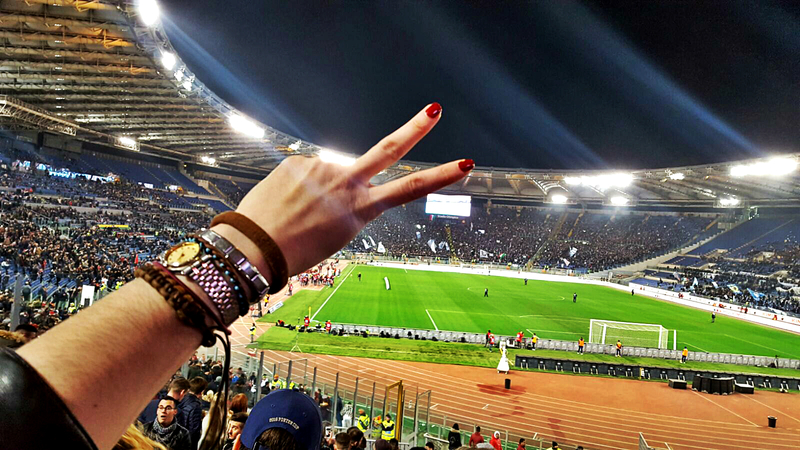 Sports – In the North of Rome, there is a stadium called Stadio Olimpico. If you are a fan of football and you like to attend the matches, this is a place to go. Speaking of recreation, you can jog or have some kind of exercise in the parks. However, If you live in the suburbs, it is a bit more difficult as there are no suitable places for outdoor activities. Forget about bicycles. It is quite impossible to have a nice ride around the city. Even quite dangerous. There are no specific trails for bikes. Streets are full of pedestrians and road are overcrowded by traffic. The worst fact is the bad quality of the roads. Holes, garbage, grass and even cars are covering the majority of the possible bicycle routes. If you prefer a gym, there are plenty. Usually, you have to pay the registration with is 10-20 euros and from then on just monthly membership which can be around 50€. Less, if you buy a yearly ticket. Some gyms provide a trainer as well, different fitness, pilates, dance or boxing sessions. Do a bit of research, visit the gyms and see what suits you the best. 4. Learning Italian – There are some associations that work with immigrants and they provide Italian courses for free. You can contact them and ask to join. Keep in mind that the work will go really slow. Also, there is a Facebook group called Tandem in which you can exchange languages. You can teach some of the languages you know in exchange for Italian. I did not really have the most positive experience with it but I was told that if you are a student and you have access to in University (which I am not) it is much more serious and organized. Language courses you pay by yourself are quite short and quite expensive. The amount of knowledge you would get in a period of 3 weeks might be equivalent to the amount of money you pay for it but the amount of time is too small to develop given knowledge to the level you are expecting to. There are many phone applications for free and for a small amount of money. I prefer the old fashion way – buy a dictionary and learn the words. 5. Free of charge and discounts – Pantheon, Vatican, Colosseum one day a month, Spanish stairs, Fontana di Trevi, Villa Borghese, Vittoriano, the Jewish ghetto, Trastevere, churches, summer festivals all over the city, Piazza del Popolo, Mercatino Di Porta Maggiore, Pope`s audience on Wednesday morning… Many museums have free entrance one day a month. Check on their websites. Also, ask for student discounts. Visit museums during the „Night of the museums“ when the entrance is free. Not for all of them but you can check it online as well. 6. Transportation – You are free to choose between metro, tram, bus, Uber and taxi. Metro connection is good and accurate. Trams are just like in every country – old, loud and full of people. Buses are unreliable. Not only they are late but also in the terrible condition, very dirty, extremely loud, hitting every hole on the road, often forgetting to stop, changing the routes, not appearing for an hour… Do everything you can to avoid it. Use train for longer rides such as from the suburbs to the center or from one corner of the city to another. Uber is more expensive than a taxi. Taxi is not cheap but you might be lucky and get a ride with Totti`s uncle. The sweetest taxi driver I have ever met! Take a ride only in verified taxies that are parked in specific places dedicated only to the taxis. You will save a lot of money if you buy yearly or monthly tickets. Yearly costs 250€ and monthly 35€. A single ticket for a 100-minute ride is 1,50€. Make a calculation. Do not forget to check the schedule of night transportation. Do not use public transportation during a strike. I was very unlucky one night. The bus stopped 5 km away from my house around midnight in a not so safe district. Walking home was not an option and I had nobody to call to pick me up. I ended up getting a taxi and paying 25€ for a 5-minute ride. Taximeter does not start when you sit in the car. It starts charging the ride from the moment you called. So if the taxi is 10 km away from you, it`s your problem. By the time you get picked up, you will already have something to pay. Pepper spray is a good thing to have just in case, especially for girls. You can order it in pharmacy and it will cost 20€. – in the street, you can find small „fountains“ with water coming out. That water is drinkable. – Restaurants do not work from the morning until the evening. They close between lunch and dinner or work only for lunch or only for dinner time. – public offices and hospitals are an absolute mess. Prepare to wait for hours. 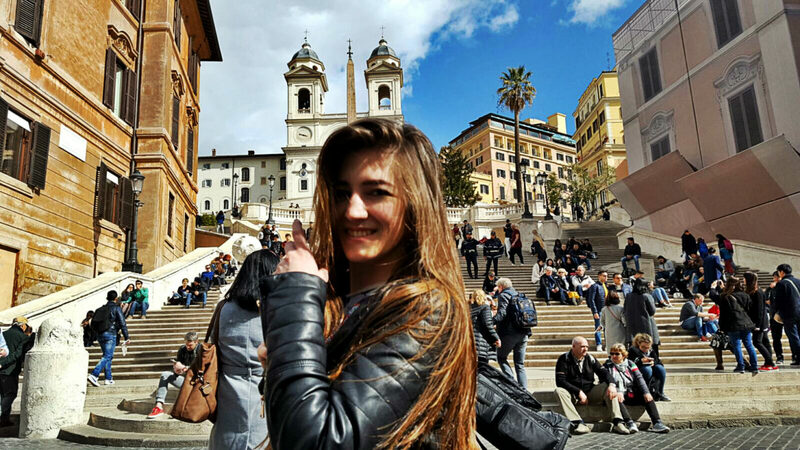 – Buy Roma pass to save money while sightseeing – http://www.romapass.it/. – Being late is acceptable. – Temperature during summer goes up to or over 45c° and humidity makes it even worse. – Interupting the conversation is not really rude. Shouting is part of the normal conversation. – There are 85745876 types of pasta. All of it has a different name and purpose. Every Italian knows all the names and purposes.